Arguing over guns may be tiresome, but being silent while the death toll climbs is worse. Las Vegas. Parkland, Florida. Enough is enough. Over the past week, everything that can be said about gun violence has been said. It needs to be said again and again until this country no longer has a gun held to its head. People die every day by firearms, about 33,000 a year. Gunshots aren’t the biggest cause of death in our country, but they are one of the most preventable and senseless causes. People die every day, but a national discussion about preventing gun-related deaths happens only in the aftermath of a particularly large mass shooting. The current discussion follows a shooting spree last week at a high school in Parkland, Florida. A 19-year-old man shot and killed 17 people and injured almost as many others. Mass shootings happen with numbing regularity. Being numb won’t get us to the place pushing for change can get us to, but it’s hard to hold onto the hope of reform when it is so hard to make even minimal progress. A lot of the comments I read about the latest school shooting started out by saying we’ve been down this road before — outrage, prayers, promises followed by nothing that lowers the risk. A headline from the satirical newspaper The Onion made the rounds on social media: “No Way to Prevent This Says Only Nation Where This Regularly Happens.” The headline originally referred to a 2014 mass shooting, but it captures the frustration that people who want change can feel. If it’s impossible to stop gun deaths, why are so many other countries able to do it? The New York Times tried to explain why in an article last year, which it reposted last week because nothing has changed. It included a chart that shows several nations on a grid that depicts the number of guns and the number of gun deaths in each. There is a cluster of several countries in the lower left-hand corner and way up in the upper right, all by itself, is the United States. Countries that have more guns have more gun deaths, and the United States has more guns by far than the countries to which it was compared. The comparison was based on work by University of Alabama professor Adam Langford. The U.S. has 270 million guns (more by some estimates) and during the period used for the study, 1966 to 2012, the U.S. had 90 mass shooters. No other country in the comparison had more than 46 million guns or 18 mass shooters. The number of guns made the biggest difference, the analysis concluded, but it didn’t account for all of the difference. What made matters worse in the U.S. is the difference in regulation. Most countries treat gun ownership as a right to be earned, but in the U.S. it is treated as an inherent right. Lots of guns and lax regulation explain our exceptional level of gun violence. Data showed neither mental-health nor crime levels set us apart from other countries. Mass shootings get everyone’s attention, but it’s important to remember that guns take far more lives in other ways, which are sometimes overlooked. Suicide accounts for most gun deaths, but it happens out of the public eye. Guns are used in domestic violence and are also involved in accidental deaths, often involving children, but those cases rarely make news outside the area where they happen. And we don’t always factor in the impact that each gun death has on the lives of family and friends and communities of the people killed. We need to include all of that damage in weighing the value of gun-control measures against the desire of a minority of Americans to own all the guns they want. The Second Amendment is used as a defense for avoiding any measure that would control access to guns, but nothing in the amendment supports turning our backs on gun violence. 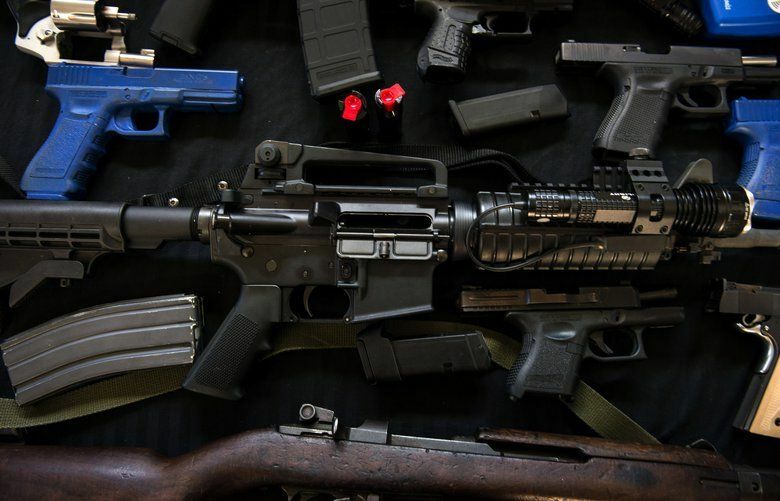 A core of gun owners are fierce in protecting access to guns of every kind. The majority of us haven’t been as relentless in pursuing the kinds of controls that would make all of us safer. I know I’ve said it before, but maybe this is the moment when the majority move from feeling helpless to helping press elected officials to crawl out from under their beds and stand up for the lives of their constituents. 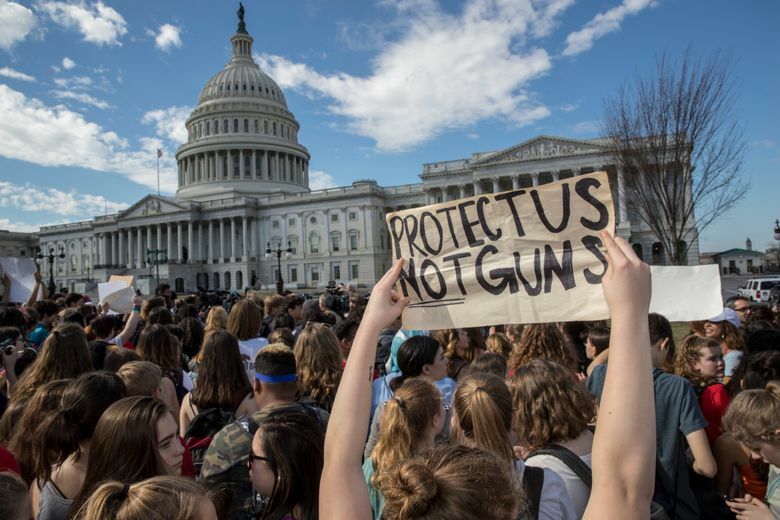 High-school students are marching for action in Florida. Maybe they and other young people will ignite a civic fire.